Cinti/I74W to Sunman Exit(#156)LT-SR101,6mi RT-SR48,2mi RT-N.Spades Rd,home-LT.Sign on. Well-maintained & ready to move in! 3 bdrms w/walk-in closets, 24x22 attached 2 car garage plus 12x8 outbldg. Covered porch in back with tree shaded lot. New roof shingles in May 2016, updated bathroom vanities & laminated flooring in kitchen/dining rm area. 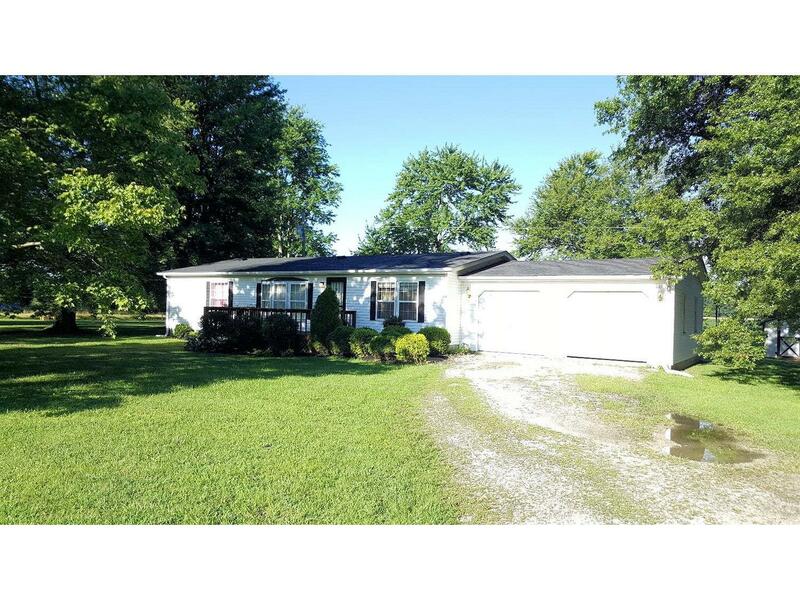 Super location in the country but close to I-74. NOTE: This property was sold on 11/16/2016 and is no longer available. The details listed below are believed accurate to the date of the sale and are subject to change.